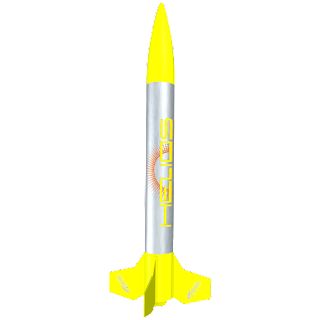 Check out the full range of Estes Almost Ready to Fly model rockets at the best prices. 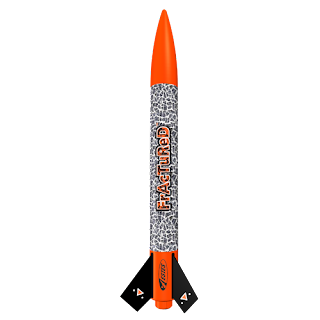 Just keep on scrolling down to see which Estes ARF model rocket you want to add to your model rocket collection. 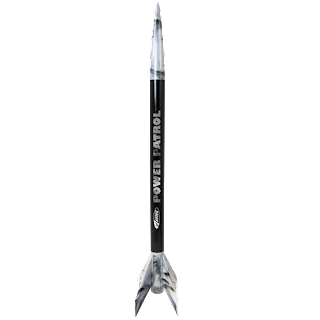 We have the best ARF model rockets at low prices, so don’t miss out! If you want to see all the model rocket kits in the Estes model rocket range and all the Estes model rocket accessories you will ever need, just take a look at our extensive Model Rocket Store and have a browse around! All you need to do to get the Estes Power Patrol Almost ready to Fly Rocket ready for launch is slide in the fins and attach the shock cord to the nose cone. Powered by standard Estes rocket Engines, this little beauty will easily soar to over 1,000 feet! 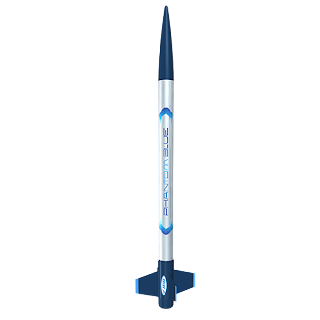 Add this superb Almost ready to fly model rocket to your collection. 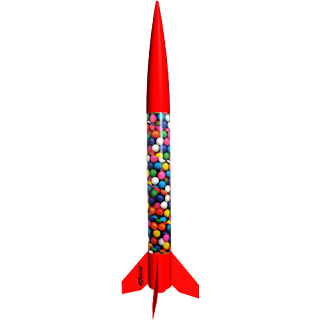 It takes no time at all to assemble and the brightly coloured rocket will ascend to altitudes of more than 1,000 feet. 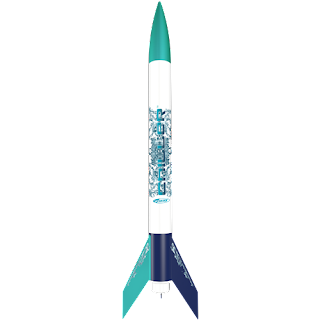 There are no specialist modelling skills required to make this model rocket, so it would make the prefect model rocket gift for the model rocketry beginner. Another great Almost Read to Fly Model rocket from Estes. The Phantom Blue zips off the launch pad at high speed and can hit heights well in excess of 1,000 feet. It’s fast and furious fun with the Phantom Blue ARF model rocket. Just a few minutes to assemble the rocket and you’ll be ready to start the countdown! Cool looking ARF model rocket that’s so easy to assemble. 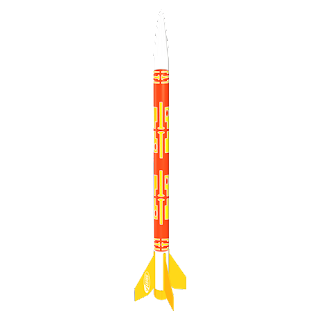 The Flying Colors ARF model rocket will reach an altitude of 550 feet with standard Estes rocket engines. Add to the fun with the addition of a BT-60 Booster and a D12-0 booster engine and the Estes Flying Colors rocket will soar to over 1250 feet! 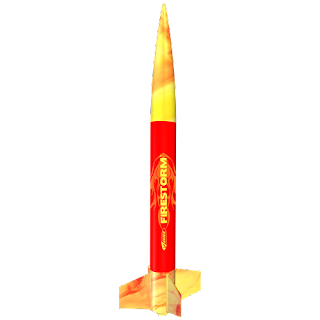 Estes have done it again with this Firestorm ARF Model Rocket. The unique colored plastic parts make the Firestorm almost ready to fly rocket really stand out. 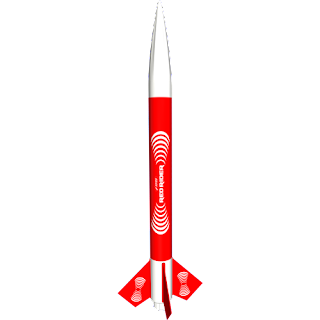 As standard, the Firestorm ARF rocket will reach 550 feet. Add a BT-60 Booster Accessory and a D12-0 booster engine and it will hit way over 1,250 feet! 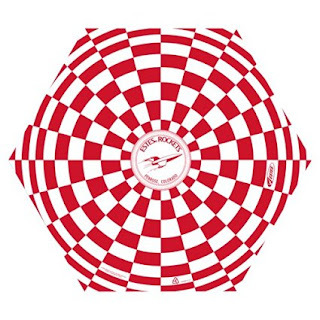 The Estes Hyper dart will get you noticed on the flying field! 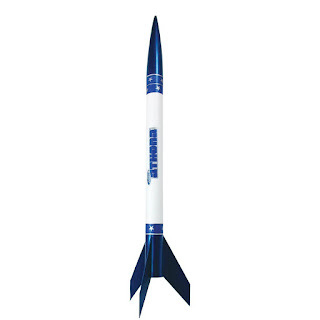 Make your mark with this classy looking almost ready to fly model rocket from Estes. 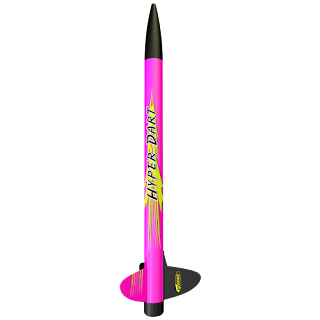 Super-sleek and super-fast, the Hyper Dart ARF model rocket takes only minutes to assemble and it will reach an altitude of over 1,100 feet on standard Estes rocket engines! Just slide the fins into the fin can slots and your Estes Almost Ready to Fly Fractured ARF Model Rocket Kit will be ready to launch. The Estes Fractured rocket will hit 550 feet on standard engines, or why not add a BT-60 Booster Accessory and a D12-0 booster engine and see your Fractured model rocket soar up to an amazing 1,250 feet! Don’t be fooled by the name, the Estes ARF Drifter will soar straight up to 700 feet on a standard engine, so there will be no drifting involved with this Estes model rocket. If you want to get even more height, add a BT-55 Booster Accessory and a D12-0 booster engine and watch it streak up to an altitude over 1,500 feet! Just five minutes to assemble and this Estes Almost Ready to Fly Spirit model rocket kit will be ready for its first launch. 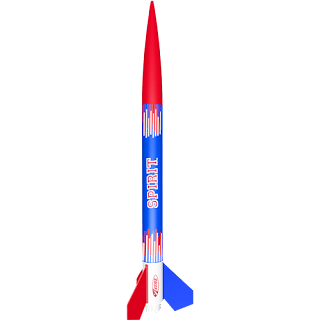 This striking red, white and blue ARF model rocket will reach altitudes of 700 feet. Add a BT-55 Booster Accessory and a D12-0 booster engine, and it will easily hit 1,400 feet! 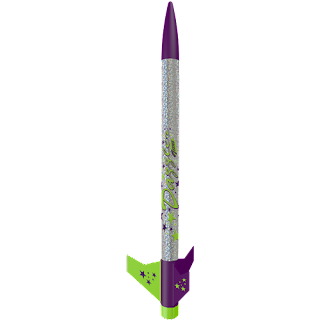 You won’t lose the Estes Dazzler almost ready to fly rocket in the sky and with this brightly colored ARF model rocket and you’ll be the envy of all your friends. Just slide the fins into the fin can and attach the shock cord and you are away. This almost ready to fly rocket will dazzle you with the 1,125 feet altitude that it can reach on standard Estes engines! The Estes Chiller almost ready to fly model rocket will make a great addition to your model rocket collection; its aqua chrome nose cone is a real head turner. The Chiller ARF rocket is simple to assemble and it will reach heights of 600 feet on standard engines or 1,300 feet if you add a BT-55 Booster Accessory and a D12-0 booster engine. Here’s another great Estes almost ready to fly rocket to add your growing model rocket collection. 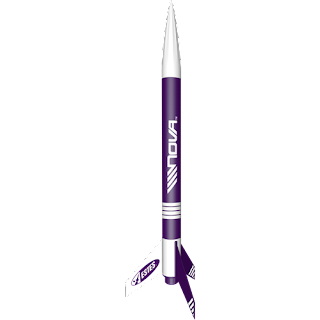 It will only take five minutes to prepare the Estes Nova ARF rocket for fight and then it will soar 700 feet into the sky on standard Estes engines, or 1,400 feet with a BT-55 Booster Accessory and a D12-0 booster engine. This fast to assemble Estes Rookie ARF module rocket take just a few minutes to assemble and there’s nothing “rookie” about its performance! The Estes Rookie almost ready to fly model rocket will top 500 feet on standard Estes rocket engines and, if you add a BT-60 Booster Accessory and a D12-0 booster engine, watch that Rookie really soar! 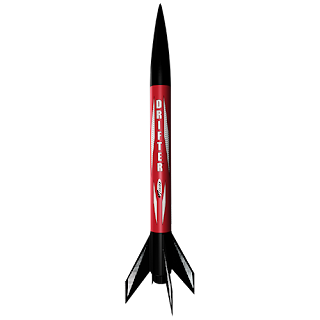 Brightly colored and striking, the Estes Red Rider almost ready to fly model rocket is certainly a head turner! The Red Rider ARF model rocket won’t sell you short on altitude either. It will fly up to 700 feet on basic Estes engines, or 1,400 feet if you add a BT-55 Booster Accessory and a D12-0 booster engine! 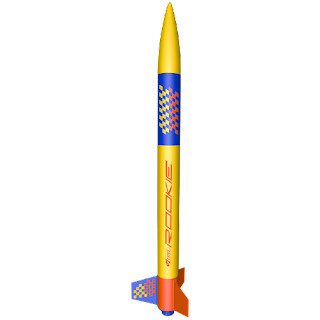 The brightly colored Helios ARF model rocket is one of the coolest looking model rockets in the Estes ARF range. Just slide on the fins and the Helios will rocket its way up to 600 feet on standard Estes rocket engines. Add a BT-60 Booster Accessory and a D12-0 booster engine and you’ll see the Helios ARF rocket top 1,300 feet! 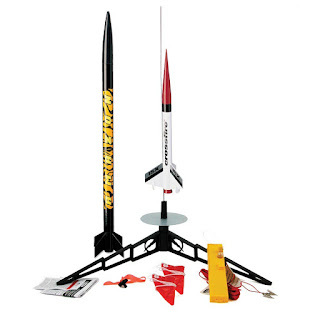 Check out the Model Rocket Store for the full range of Estes Model Rockets and Accessories!